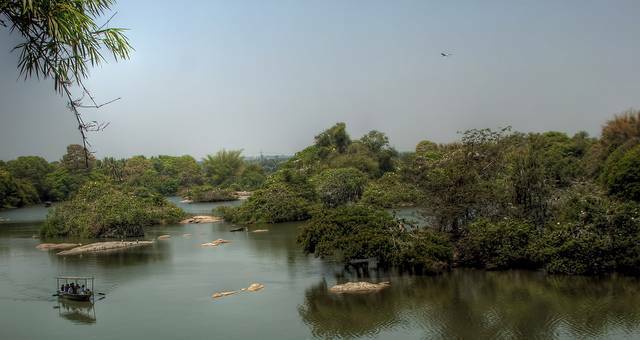 Situated in Mandya district, Ranganthittu Bird Sanctuary is Karnataka’s largest bird sanctuary and sprawls across 40 acres through which river Cauvery flows. There are nearly 6 small islands on the river flowing through Ranganthittu Bird Sanctuary. These islets serve as nesting grounds for nearly 170 birds of 30 species coming here for migratory season. This number goes upto 40000 birds during winter season. During heavy monsoon, few islets will be flooded heavily and so boating services are cancelled. You can watch the birds from distance. Mongoose, Flying Fox, Bonnet Macaque etc are few inhabitants of Islands. Also on river bed reeds, you can come across Marsh crocodiles. This bird sanctuary is just 10 km from Srirangapatna.